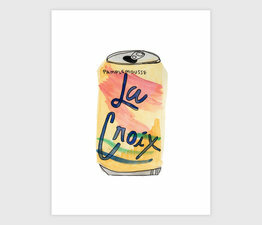 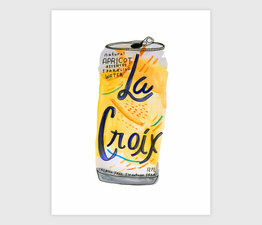 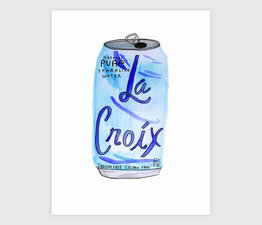 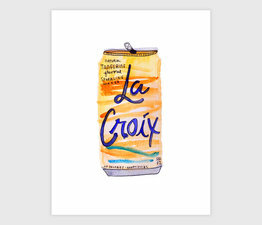 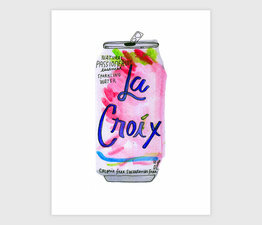 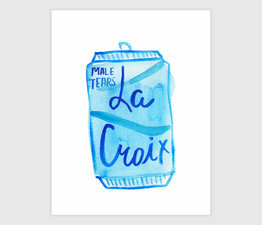 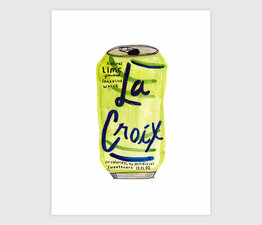 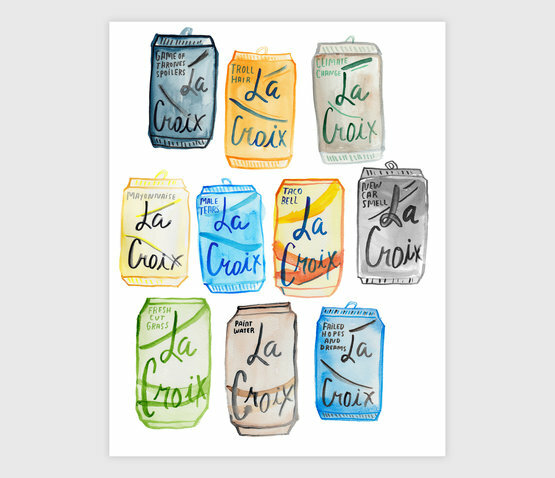 This print celebrates all of the La Croix that never ended up in cans; the fake flavors and rejects that exist only in our minds and hearts. 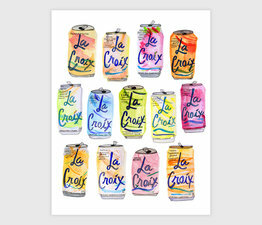 Printed in Portland, Oregon using an 11-color high definition ink process on an archival enhanced matte paper. 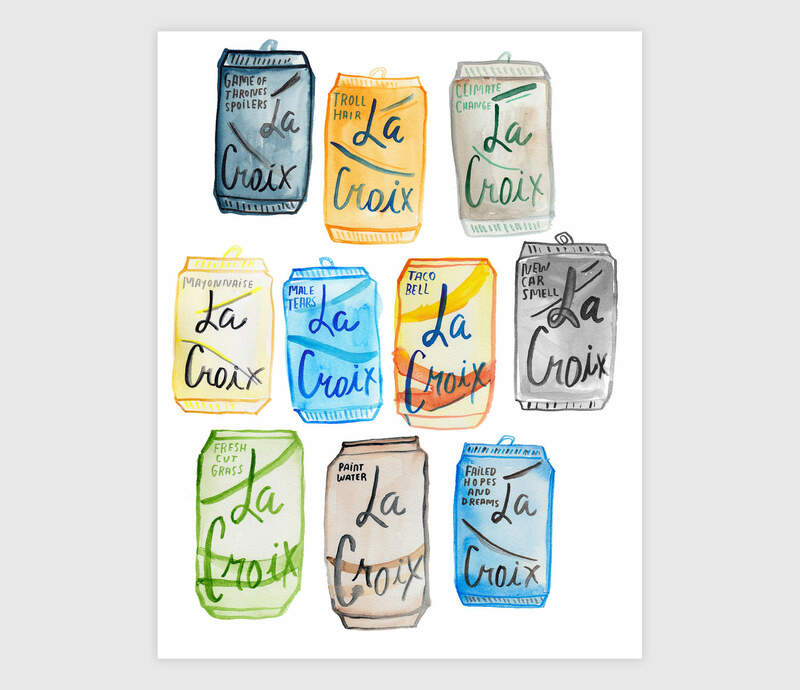 Flavors Include: Game of Thrones Spoilers, Troll Hair, Climate Change, Mayonnaise, Male Tears, Taco Bell, New Car Smell, Gresh Cut Grass, Paint Water, and Failed Hopes and Dreams.